The 2017 Hyundai Santa Fe Sport, a smaller version of the Santa Fe, has a quiet, insulated cabin and comfortable seating for five. Like the SUV itself, the 35 cubic feet of cargo space is a little on the small size for its class, but folding down the back row expands it to an impressive 72 cubic feet. Unfortunately, the cabin hasn't been significantly updated in several years and its age is starting to show in the faux chrome details. Coming in a two- or three-row configuration, the longer 2017 Kia Sorento seats five or seven in a comfortable, spacious cabin. The compromise for more seating, of course, is less cargo capacity. While cargo space is similar to the Santa Fe Sport's with two rows, it dwindles to 11 cubic feet in the three row configuration. The Hyundai Santa Fe Sport offers a ton of tech, much of it standard even in the affordable base model. Standard features include 5-inch screen with a rearview camera, satellite radio, Bluetooth phone, and audio streaming. The upgrades include 7- or 8-inch touchscreen, Android Auto/Apple CarPlay, HD radio, navigation system, and Infinity premium audio. By comparison, the Kia Sorento offers similar tech, but those features comes at a higher price. Standard features include Bluetooth, a USB port, and user-friendly buttons and knobs. The really desirable features aren't found on the base model-- auto-dimming rearview mirror, automatic headlamps, heated front seats, a power driver's seat with memory, dual-zone automatic climate control, and 7" touchscreen infotainment system with Apple CarPlay and Android Auto. 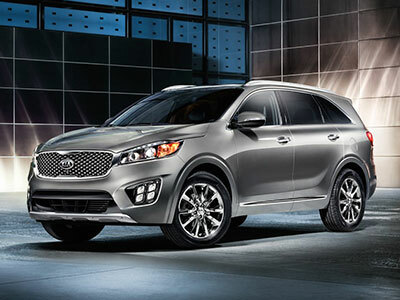 If you're willing to pay, the Kia Sorento may have more to offer. 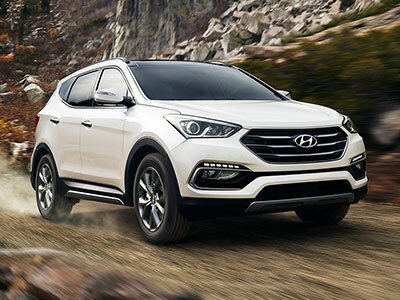 But in the base model, the Santa Fe Sport gives you more. The Hyundai Santa Fe Sport will save you money at the dealership and at the pump, getting 21 city/ 27 highway miles per gallon. Those numbers are impressive for an SUV--frankly, those numbers are impressive for nearly anything larger than a subcompact hatch. The Santa Fe Sport has good handling and steering as well as decent acceleration. Fuel will feel a bit more expensive with the Kia Sorento and you'll visit gas stations a little more frequently. The Sorento gets only 17/21 mpg and has received some criticism of its poor steering. With a perfect five-star overall score from its government safety rating, the Hyundai Santa Fe Sport proves that you don't need to skimp on safety to save money. Optional safety features include adaptive cruise control, forward-collision warning, automatic high-beam headlamps, and lane-keeping assist. The Kia Sorento also earned a five-star safety rating. It has a bevy of safety features, but relatively few, like the rearview camera, come standard--but that's true for the Hyundai as well. The Sorento offers some cool additional active safety feature options, like a surround-view camera, rear parking sensors, and rain-sensing windshield wipers. The Hyundai Santa Fe Sport gives you more, for less. While both the Santa Fe Sport and the Kia Sorento have a similar starting price tag, the Sorento locks away a lot of its best features behind higher trims. Though the Sorento has a superior interior, the Hyundai Santa Fe Sport saves you money at the dealership and the pump, without skimping on tech or safety features. The 2017 Hyundai Santa Fe Sport wins in this head-to-head of affordable SUVs.